mFortune Partners features mFortune and PocketWin mobile casinos in their portfolio. mFortune is a mobile casino that is licensed by the Gambling Commission in the United Kingdom. The parent company is Intouch Games Ltd. The mobile casino games are available on most phones including iPhone, Android and Blackberry. Some of the featured games include blackjack, roulette, bingo and many online slots. The casino is targeted more for players in the United Kingdom but does accept many countries worldwide except the United States. 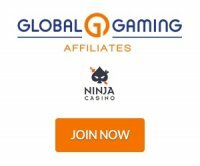 The affiliate program has won numerous awards including mGaming Awards 2012 and EGR Awards. This affiliate program has one of the highest revenue share rates available. Affiliates get 50% revenue share commission and no negative carryover (no NCO). Affiliates are paid every month and by Neteller, Skrill, Bank wire and Check-cheque. mFortune affiliate backend gives the important stats you need about your referred players showing downloads, new depositing accounts and commissions earned. The program has tracking links and an assortment of banners to target mobile casino players. If you are looking for a pure mobile casino and nothing else, mFortune.co.uk is a great standalone product for this. They are constantly focusing on staying up to date with the changes in mobile technology and ensuring that their players always have the best mobile gaming experience whether casino games or bingo. The 50% revenue share should get any affiliates attention.